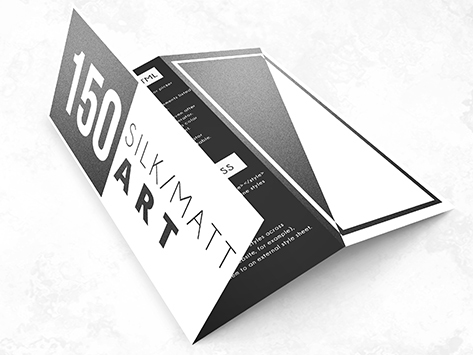 High quality standard brochures that speak volumes about your company’s professionalism, the Standard Matt stock is the perfect choice with 150gsm paper stock, no ink will seep through to the reverse side, meaning you can make the most of both sides of the paper to communicate as much as you like. Choose from our free design gallery or design your own brochures using our online editor. For any custom size and unique paper option please send us a quote request and we will get back to you as soon as possible.